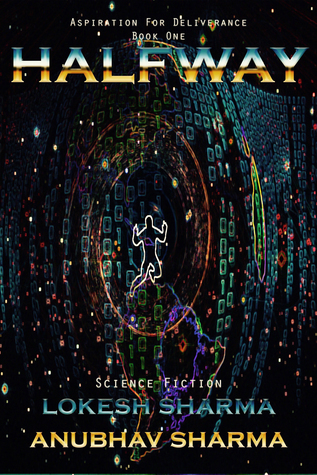 In Halfway (Aspiration for Deliverance #1), the recently dead find themselves in an amphitheatre in a strange, other-worldly realm called Enigma. No one knows how they got there or what Enigma's purpose is. It transpires Enigma is a halfway holding-place where dead people are tried for their crimes on Earth. If innocent, they'll be welcomed into Salvation; if guilty, Hell awaits. The story is told through the perspectives of several main characters. The authors have skillfully brought each one to life (excuse the pun) and the reader is drawn in wanting to know more. The plot is both highly original and exciting. The pacing is just about right for a relatively short book of slightly over 200 pages. 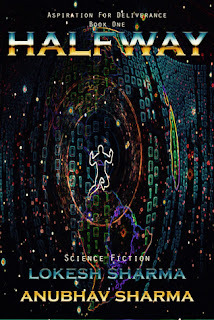 In my opinion, Halfway (Aspiration for Deliverance #1) is a very enjoyable read and isn't bogged down by futuristic technological terminology or complicated 'world building' as some books in this genre can be. It's an easy read with a very good plot, which I'm sure will continue into book two. My thanks to authors Lokesh Sharma & Anubhav Sharma for providing a copy of this book.